Ahhh yes. The myth & the legend of buying & blocking Instagram followers. If you are a “micro-influencer,” that is, an influencer with less than 50k followers on Instagram, the goal is get to 10k followers so that you get the magical additional feature: the “swipe up” on Instagram Stories. 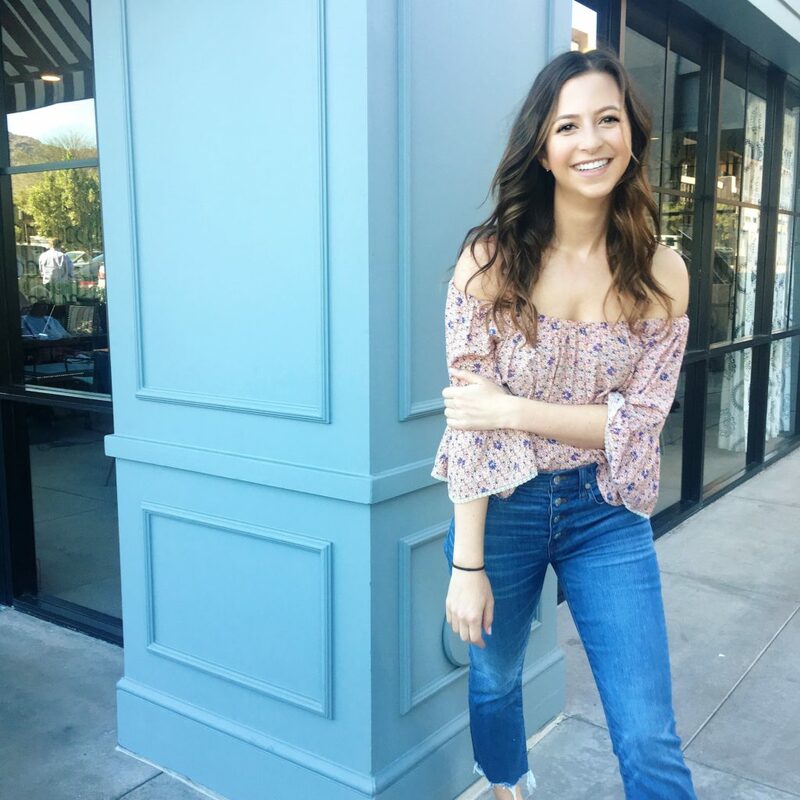 Not only is having an engaged following of 10k+ followers an accomplishment in itself, but this added benefit has SO many great benefits to growing your brand or blog. Two things: traffic & affiliate income. Without the “Swipe Up” feature, the only way you can direct a follower to a website is to get them to click the link in your bio. 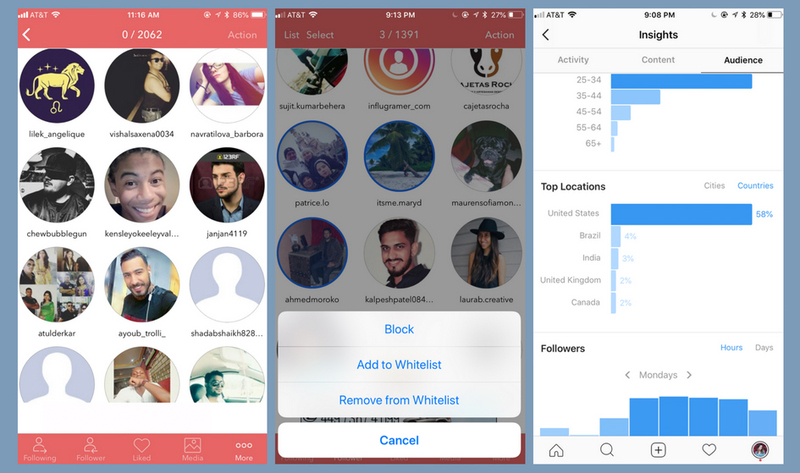 Since Instagram only has ONE link in each user’s bio, the chances of a follower…. …is about 5-8%!!! It’s an insanely difficult task to get people to go to your website from Instagram. However, if you get over 10k followers, you get the “Swipe Up” feature, which allows you to link (think: blog posts, affiliate links, YouTube videos, etc.) on your story so that all a user has to do to go to your link is swipe up while viewing your Instagram story. It takes out all of the above steps!! The month I got to 10k followers and was granted the magical “Swipe Up” feature, I saw a 32% increase in traffic to my website! Now on to the good stuff..
Ok. So. While I was sitting at around 8k followers on Instagram, one of my friends suggested I just buy 1.5k followers to get to 10k. To me, having the added feature was important, but I had worked SO hard to grow an organic & engaged to 8k that it felt fraudulent to just fake my way to 10k. As I neared 8.5k about a month later, I had TWO clients ask me my opinion on buying followers. I gave them my shpeel on how it’s best to grow organically and how “bought” followers almost NEVER end up becoming an engaged follower. But, I had never actually looked into how to do it myself. I did a little research (aka typed in “buy Instagram followers” into Google) and discovered that you can buy 300 followers (the smallest amount) for $2.99. THREE DOLLARS! I was shocked because I hadn’t realize how cheap it was, and I thought, “what damage could 300 followers do? !” when it was as little as 3.5% of my current following. The system I used tells you you’ll instantly start getting the followers. For some reason, I instantly got HUNDREDS of LIKES instead. No followers. WTF? I had to write in to the company’s support team and the “owner” tried to tell me that these were my new followers engaging with my content. Um, no. He somehow fixed it and the followers started to come through. Many of the new followers looked like spam/fake accounts. Many didn’t have profile pictures, followed 7,000+ people, and had never posted to their accounts before. I blocked the accounts that were immediate “red flags” to me. After buying 300, about 20 unfollowed me instantly, and then I blocked another 40 or so. The majority of people who followed me were from Brazil and India*, which would throw off my demographics**. A month later, I hit 10k! Boom. “Swipe Up” feature: added. But that was really the only change lol. Left: You can see at the top the number of followers I have blocked in the last few months with the Unfollow app. Middle: Selection options within the app. Left: My Instagram’s demographics, note higher percentages from Brazil and India. Following is queen, and engagement is king. Over time, I noticed NONE of the followers I bought engaged with me. From the perspective of working and collaborating with brands, having a portion of my following that was completely disengaged wasn’t of value to me (or the brands who would want to work with me). Followers who do not engage with you are called ghost followers. 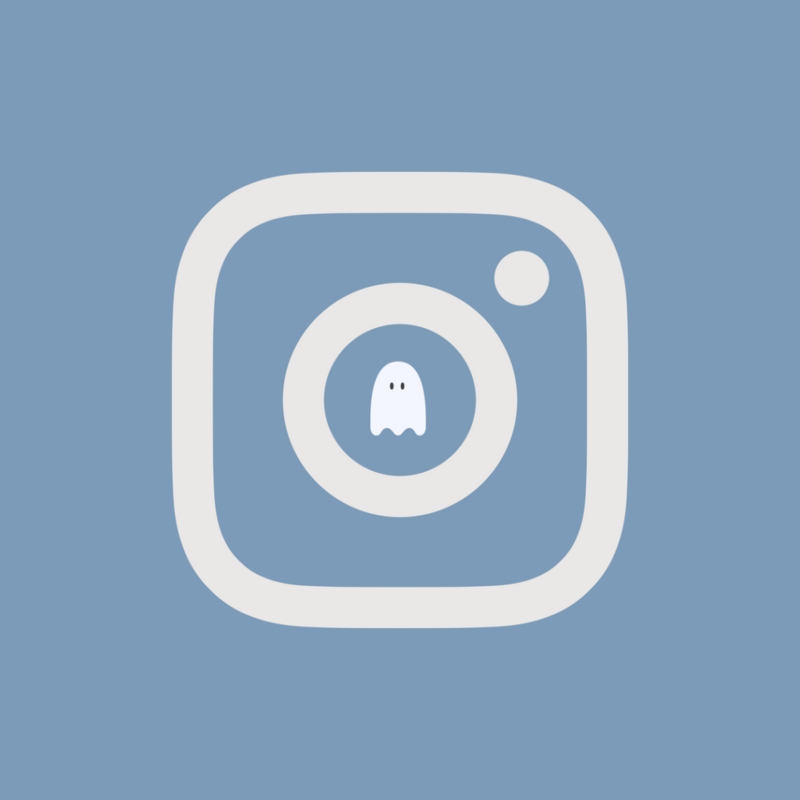 Most systems define “ghost followers” as those who have not engaged (liked or commented) with your last 50 posts. What Makes For A Valuable Follower? You can only block 80 followers an hour (or else IG puts a pause on your account because of “suspicious activity”). This is why I wouldn’t recommend buying unlimited “coins”, because you’ll have to keep coming back to the app anyway. So the process of getting rid of all the followers who aren’t valuable to you can take a while. But, overtime, as you block the followers who don’t engage with you, your engagement rate will go UP. Engagement rate is one of the first things brands look at when they want to work with an influencer, so it’s important to have a high one! 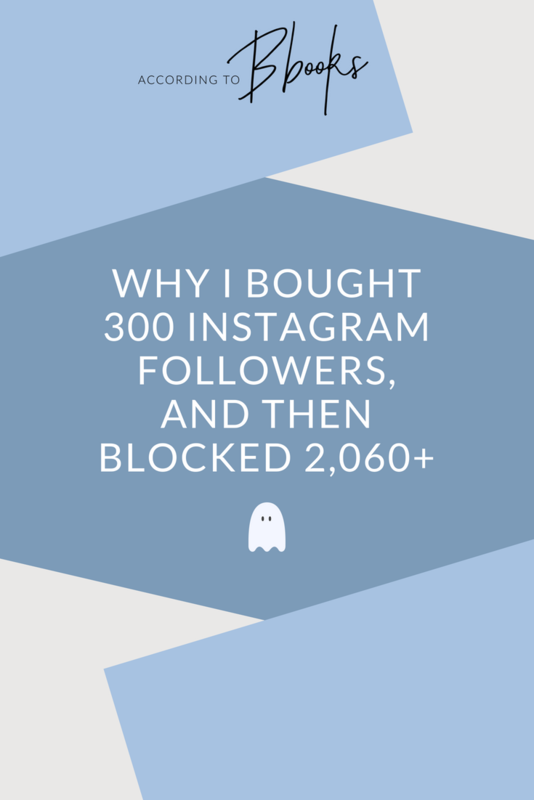 I understand buying & blocking Instagram followers is very taboo, but I wanted to talk about my experience to bring awareness to the downside of buying followers. While it may be quite affordable, down the road it will skew your following’s demographics for the worse – thus, making you ineligible to work with many US-based brands. Hope this post helped! As always, feel free to let me know if you have any questions in the comments below or DM me on Instagram! *Companies who you buy your following from (who you pay 1 penny per like) then go to users in countries where the U.S. dollar is strong (like Brazil and India) and pay them a similar rate for each account they follow, but in their own currency, of course. **When working with brands as an influencer, many brands or agencies will be given access to the demographics of your following. Obviously, it doesn’t look legit if a large percentage of my following isn’t from USA or English-speaking countries because I don’t create content for those audiences. Did you drop below 10k and did you lose swipe up? I’m almost at 10k and I want to stop doing f/uf at some point but I don’t want to lose swipe up. I didn’t! I waited until I got to 10k and then purged – but would only purge just enough to keep me above 10k! Glad I read this, as was seriously looking in to buying. Am really hoping 10,000 will get me more blog engagement, but I am A LONG way off (currently 450!). Had a quick search of your blog to try and find your tips on how your grew your engaged followers. Apologies if I missed it, but can’t see a post anywhere. Any advice you can offer? Really keen to move forward, haven stopped with FB and Twitter really now, as I feel Instagram is the best place for a travel blogger. Glad you found this post helpful. As for growing an engaged following, it’s important to remember that this takes time. Show up consistently to your current audience, and always be providing them value, inspiration, or aspiration.